It’s vital to get your house in order before you sell your home and one of the things that can cause massive delays in the transfer process is an issue with the building plans. By law, homeowners have to ensure that all the buildings on the property are on the plan and that plan has been approved by the relevant local authorities. It needs to be remembered that the seller cannot pass the buck to the buyer (unless the latter explicitly grants permission for the seller to do so). Sellers should never assume that everything is above board. There have been cases, particularly in years gone by, where the municipality may have overlooked the odd transgression as far as plans go and the plans in your possession may not be an accurate reflection of what is actually on the property. To avoid any nasty surprises, sellers should ensure that their plans are in order before they place their homes on the market and take the necessary action should there be a discrepancy. “Several years ago, the Municipality would put a block on the issuing of rates clearance certificates if plans were not correct, says Carol Reynolds, Pam Golding’s area principal for Durban, Durban North, La Lucia and uMhlanga. “This would result in extensive delays in the transfer process, as transfer cannot proceed without rates clearance. One of the recent factors to keep in mind when selling your home, is that energy regulations have changed. This means that buildings that would have been compliant several years ago may not be compliant in terms of today’s regulations. “For example, we have had several cases where sellers inherited properties and old outbuildings were not reflected on their plans. They are now being forced to submit plans for these existing outbuildings, only to find that they do not comply with the new energy saving regulations. In some cases, sellers have had to add extra glazing, and so on, to ensure compliance. If you should find yourself in this situation, there are certain recommendations that can assist you in resolving a potential crisis before it happens. You have three options from which to choose. 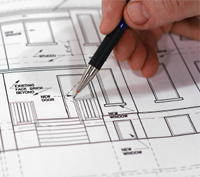 Obtain approved plans for all unapproved buildings/additions: You will need a site plan of the unapproved buildings and submit the plan with your online application for approval to your local authority. Sell your property subject to obtaining plan approval. You can commence marketing your property immediately, submit your plan and application and, should you receive an offer, make it subject to providing approved plans to the purchaser prior to transfer. Let the purchaser acknowledge the absence of approved plans and accept liability for the risks associated therewith in the sale agreement: This would only be advisable where the purchaser intends to renovate or alter the building in which case new plans would in any event be required. Sellers who have problems beyond these are best advised to contact an attorney to get the issue resolved expediently. Should you be concerned about whether or not the property you are selling / buying has accurate or approved plans, or would like to get one of Inspect-a-home‘s inspectors to compare what has been built to the plans on hand, please get in contact with us on 0861 400 400.